The following is in response to a question on the R-Help list. Even modestly large (< 1 GB) datasets can quickly overwhelm modern personal computers. 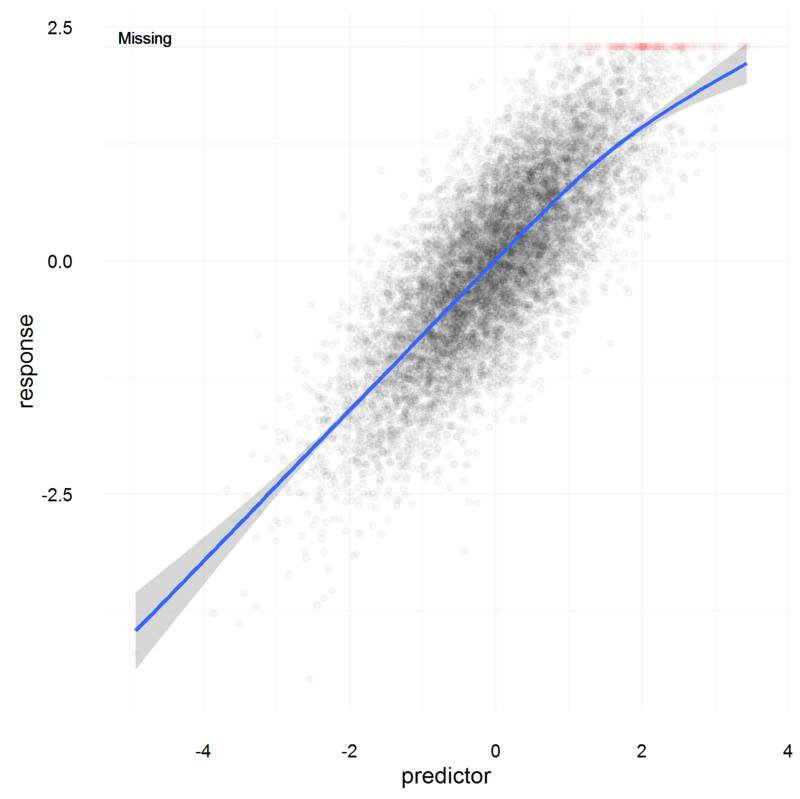 Working with such datasets in R can be still more frustrating because of how R uses memory. Here are a few tips on how to work with modestly large datasets in R.
"path\to\Rgui.exe" --max-vsize=4800M (Deprecated as of 2.14). utils::memory.limit(size = 4800) in .Rprofile. Either specify column classes manually or get the data type for each column by reading in the first few rows â€“ enough so that data type can be inferred correctly â€“ and using the class that R is using. Specifying the number of rows in the dataset (even a modestly greater number than what is there) can be useful. Improvements in performance are not always stupendous but given the low cost of implementation, likely worthwhile. You can selectively read columns by specifying colClasses=NULL for the columns you don't want read. Trying to directly read CSV can end in disaster. Open a connection first to reduce memory demands. Problems include inability to deal with fields which have commas etc. Filehash package stores files on the hard drive. You can access the data using either with() if dealing with env variable, or directly via dbLoad() that mimics the functionality of attach. Downside: it is tremendously slow. subset(data, select = columnList) rather than data[, columnList]. Analysis of survey data is hard to automate because of the immense variability across survey instruments— different variables, differently coded, and named in ways that often defy even the most fecund imagination. What often replaces complete automation is ad-hoc automation—quickly coded functions, e.g. recoding a variable to lie within a particular range, applied by intelligent people frustrated by the lack of complete automation and bored by the repetitiveness of the task. Ad-hoc automation attracts mistakes, for functions are often coded without rigor, and useful alerts and warnings are often missing. One way to reduce mistakes is to prevent them from happening. Carefully coded functions with robust error checking and handling, alerts, and passive verbose outputs that are cognizant of our own biases, and bounded attention, can reduce mistakes. Functions applied most routinely typically need the most attention. Data type: Is the variable numeric, ordinal, or categorical. Let’s say we want to constrain our function to handle only numeric variables. Some numeric variables may be coded as ‘character.’ We may want to seamlessly deal with these issues, and possibly issue warnings (or passive outputs) when improper data types are used. Range: Range that the variable takes in the data may not span the entire domain. We want to account for that, but perhaps seamlessly by printing out the range that the variable takes, and by also allowing the user to input the true range. Missing Values: Variety of functions we may rely on when recoding our variable may take fail (quietly) when fronted with missing values, for example, range(x). We may want to alert the user to the issue, but still handle missing values seamlessly. A user may not see the actual data so we may want to show the user some of the data by default. Efficient summaries of the data (fivenum, mean, median, etc.) or displaying a few initial items may be useful. These tips also apply to canned functions available in R (and those writing them) and functions in other statistical packages that routinely do not display alerts or other secondary information that may help reduce mistakes. One can always build on top of canned functions. For instance, recode (car package) function can be coded to passively display the correlation between the recoded variable and the original variable by default. In addition to writing better functions, one may also want to do some posthoc checking. Before we move to some ways of doing posthoc checks, a caveat: Post hoc methods are only good at detecting aberrations among the variables you test, and they are costly and not comprehensive. Identify beforehand how some variables relate to each other. For example, education is typically correlated with political knowledge, race with partisan preferences, etc. Test these hypotheses. In some cases, these can also be diagnostic of sampling biases. Over an experiment you may have hypotheses about how variables change across times. For example, constraint typically increases across attitude indices over the course of a treatment designed to produce learning. Test these priors. Characteristics of the coded variable: If using multiple datasets, check to see if number of levels of a categorical variable are the same across each dataset. If not, investigate. Cross-tabulations across merged data are a quick way to diagnose problems, which can range from varying codes for missing data to missing levels. In R, some want to treat matrix like a data frame. It is a bad idea. And no – one cannot use the dollar sign to pick out a column of a matrix. The underlying data structure for a matrix in R is a vector, whereas data.frame object in R is of type list (see using typeof(object)) and it carries within it vectors, reachable using the dollar sign followed by name of the vector (a way to only access elements within lists).